Patch 7.1 is Live: Raiding With Leashes IV, Falcosaur Pets, and More! UPDATE: The source of the Albino Buzzard has been found! Defeat Crysa, a new trainer in Northern Barrens (63,35 for those with coordinates), and she'll reward you with a Torn Sack of Pet Supplies. This bag has a chance to drop the new pet. Among the 27 new pets added in 7.1 are 17 battle pets that are part of Raiding With Leashes IV: Wrath of the Lick King. Venture into Ulduar, Icecrown Citadel, and Trial of the Crusader raids to collect all 16 pets. 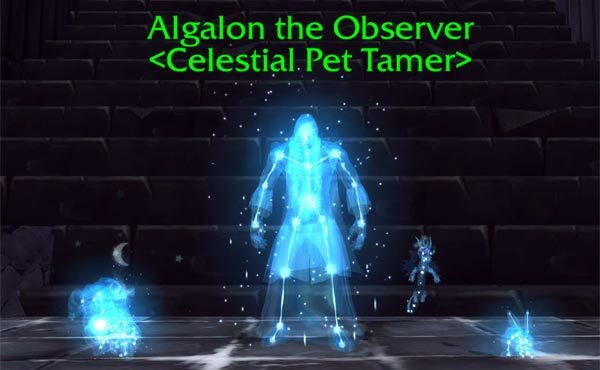 Doing so and completing the achievement will reward an invitation to fight an unexpected Pet Battler — Algalon the Observer. Algalon has three level 25 legendary pets that are out-of-this-world, so be prepared for a challenge. Defeating this cosmic being in a Pet Battle will reward Stardust, an adorable celestial bunny that occasionally turns into a shooting star as its idle animation. Reach for the stars...or in this case, Pet Battle for one! Another new feature in 7.1 is the addition of four new falcosaur hatchling pets (pictured below). These baby raptor-birds are quite special as they are acquired in a unique way and provide quests after adding them to your collection. Four new falcosaur World Quests will periodically pop up on the Broken Isles. You'll want to seek out the Matriarch of the species during one of these active World Quests, and defeat her. An orphaned hatchling will then appear in the questing area. Be sure to read the falcosaurs' Pet Journal entry carefully and bring the appropriate food for it — you will not be able to collect it unless you offer it its favorite meal. After collecting the hatchlings, they will have a lengthy quest chain for you to complete. An Ultimate Battle-Training Stone is rewarded during each of the four quest chains, and it's speculated that the final rewards are mounts of the same species. 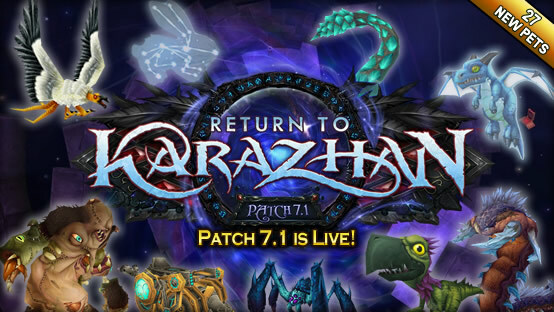 Check out our 7.1 PTR coverage of the falcosaur hatchlings for a more in-depth overview! The Raiding With Leashes IV pets and falcosaurs make up a large portion of the new pets in this patch, but there are 6 other new pets to look forward to as well. And finally, a pet from a new mysterious reward bag — it's still unknown where it will come from! 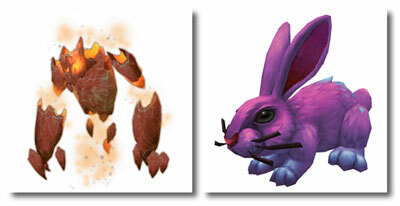 Last but not least, Patch 7.1 includes a detail most collectors will appreciate: the return of the "glossy" Mountain Cottontail appearance (pictured left), updated with the new rabbit model! This change is not retroactive, so collectors that owned a shiny cottontail prior to the patch will need to head out and capture the newer version. 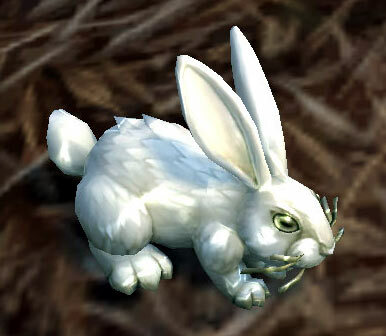 Luckily, the Mountain Cottontail seems to have dinged quite a few times this expansion — it can be found in Highmountain as well as its original location, Redridge Mountains. Which pets are you going to collect first? We can't wait to collect them all! Quoted from above: "Among the 27 new pets added in 7.1 are 17 battle pets that are part of Raiding With Leashes IV: Wrath of the Lick King." Ha. Haha. That's an expansion that I don't remember. Not havign the best of luck wuth Raiding w/ Leashes... Only 3 of the pets so far. Based on people I have talked with, the drop rates are pretty low. Although, I already see lots of the pets (way over priced) on the AH. But I do have 2 of the new Hatchlings... so perspective, I guess! Glossy bunny is cute! Can you imagine if WoW made "shinies" like in Pokemon? That would be....kinda awful? A little bit awesome? Both, I guess.